Metrolina's spring event didn't disappoint! Ever since Eddie Ross came to Charlotte and showed me the ropes, Metrolina's spring and fall shows have become somewhat of a tradition. I couldn't have asked for better partners in crime. This is before we were bogged down with bags. I could have spent hours with the vintage linens. 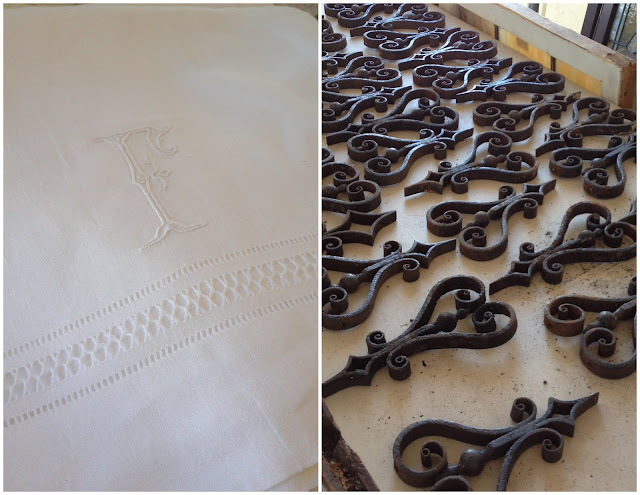 I walked away with a monogramed hand towel made of Irish linen and promptly added to my bucket list to own a set of bed linens of the same cloth. They just don't make things like that anymore! I also scored a few of these wrought iron finials. Too pretty to pass up, they will find a place in my house. This antique chesterfield is my husbands dream sofa, so I had to take a picture of me oogling it. The leather really becomes better with age; it was such a beautiful piece! A few other pieces caught my eye, but will have to wait for next time. 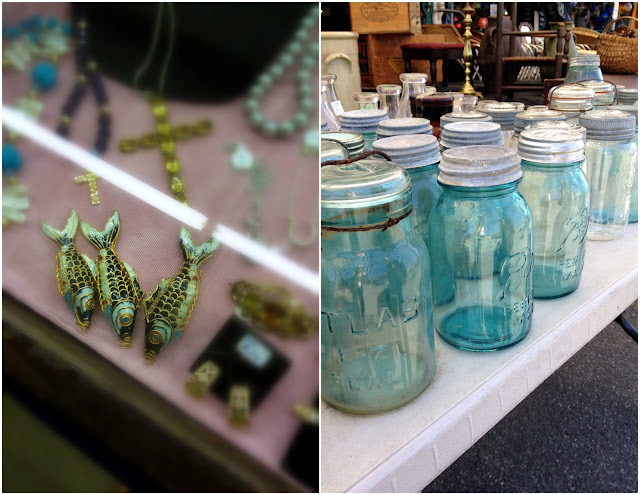 Vintage charms and bell jars are hard to say no to, so I hope they found a good home. I'm already marking my calendar for the fall show! Will you be there?